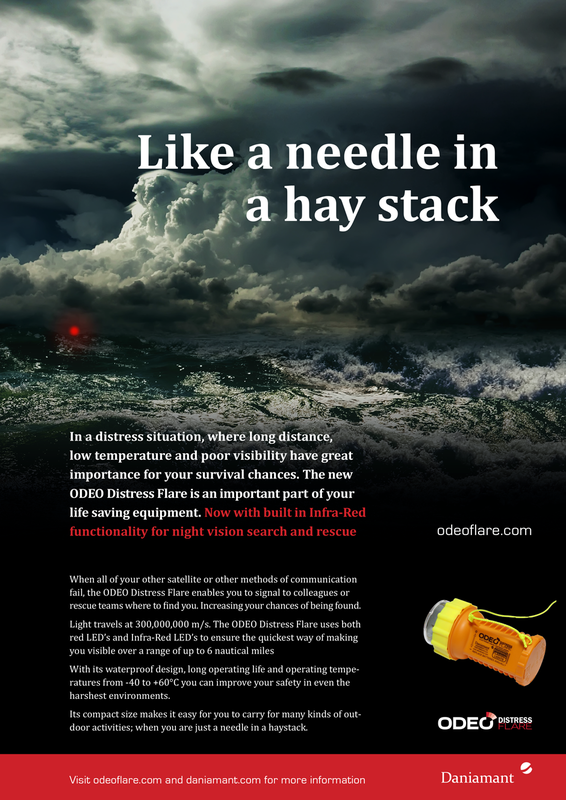 With legislation dragging its heels and our Customers asking for improvements to the successful and popular Mk3 version; we are proud to introduce the ODEO Distress Flare. Designed for more personal use than the Mk3, the ODEO Distress is a perfect choice for sailing, kayaking, hiking, mountaineering and even diving with its 50 meter IP68 rating. Our Customers wanted something smaller, more powerful, that lasted longer (now 9 hours with lithium AA cells) and with additional Infra-red capability for night time search and rescue. We have built all of them into the new design and as its ODEO, it comes with a simple to operate activation, in built SoS signal and user replaceable batteries. A waterproof neoprene bag is available for storage and includes fixing points for your equipment or pfd. The new ODEO will be available to see at METS (come and see us at stand 01.704) and for delivery in December. 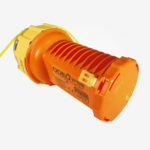 The Mk3 will still also be available as we find this has become popular as a distress signal for vessels with people fixing this version in their cabins to easily grab in an emergency.